Come hear the cats play and the canary sing…..
We know, you’re thinking – WHAT? 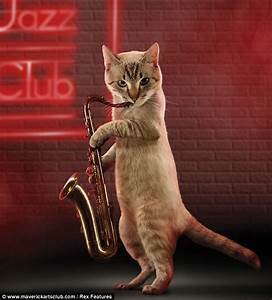 Cat (noun) musician in a swing band. Blow the top (verb) to be overcome with emotion (delight). Ex. “You’ll blow your top when you hear this one”. So, come and “Blow Your Top” as the Arcadia Theater proudly presents the BoilerMaker Jazz Band as they perform -“When Swing Was King, A Tribute to Benny Goodman” tomorrow evening at 7:30 pm. Listen to the sweet vocals of the “Canary” Jennifer McNulty and swing with those cool “Cats” in the Boilermaker Jazz Band. There are still great seats available. Ticket prices are – $26, $30, $35. So come to our “Gig” at the Arcadia Theater! There is Still Time, but Not Much What a Great day…..here’s what to celebrate!